Federal officials said Monday that efforts to fully restore power to Puerto Rico in the wake of Hurricane Maria should get a boost with more work crews and more supplies in upcoming weeks. The U.S. Army Corps of Engineers said it is getting its own barge to ship items and that materials it requested several months ago have been manufactured and are finally on their way to the U.S. territory. "We're doing everything we can to increase the (power company's) ability to do this as fast as possible for the people of Puerto Rico," said Col. John Lloyd, who is helping oversee power restoration efforts for the Corps of Engineers. 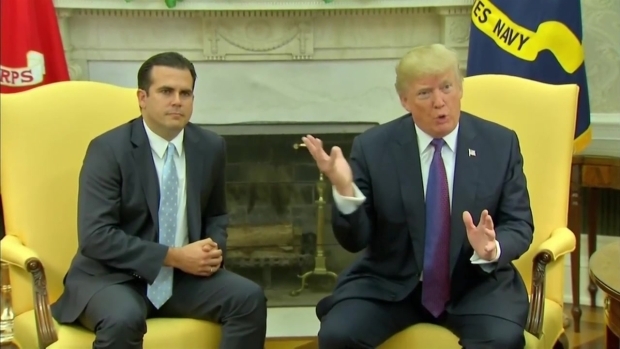 He told The Associated Press that officials over the weekend also discovered some needed equipment in a previously overlooked warehouse owned by Puerto Rico's Electric Power Authority. Puerto Rico's energy infrastructure is about 44 years old, compared with an average 18 years in the U.S. mainland, so a lot of parts damaged or destroyed by the hurricane are no longer available and have to be manufactured, Lloyd said. It is unclear why power company officials had not provided the equipment previously. The Corps of Engineers said the company's transmission division controls that warehouse and said it of lacked transparency in inventory and accountability. Power company spokesman Carlos Monroig did not return a message for comment. 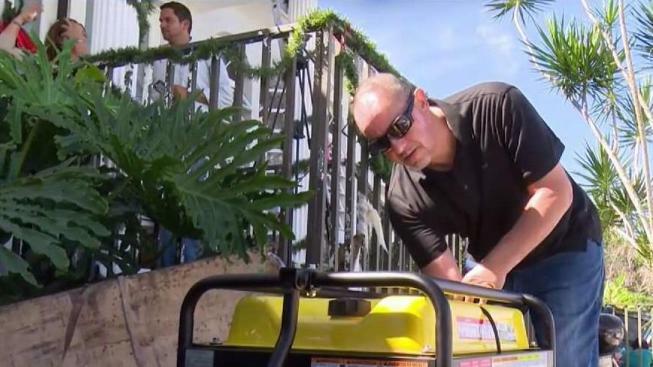 More than 40 percent of Puerto Rico's power customers remain in the dark nearly four months after the Category 4 storm hit the island, causing an estimated $95 billion in damage and killing dozens of people. Lloyd said crews are still assessing damage and that his agency is still waiting for the shipment of hundreds of thousands of poles, transformers, fuses, towers, insulators, bolts and other pieces. Of the nearly 31,000 poles ordered, almost 12,000 have arrived. Meanwhile, of the more than 6,000 transformers ordered, only 412 have arrived, but more than 630 were expected this week. Lloyd said most of the island should have power by end of February or early March, estimating it could be fully powered by May. "Four months is a long time for people to be without power," he said. "We try to do this as fast as we possibly can." An upcoming shipment of 1,250 miles of conductor wire and 6,000 poles made of wood, concrete and galvanized steel will soon coincide with the arrival of nearly 2,500 new workers in the next two weeks, officials said. In addition, a federal control board overseeing Puerto Rico's finances amid an 11-year recession said Monday that it is considering four projects worth a total of $1.5 billion to help restore energy. 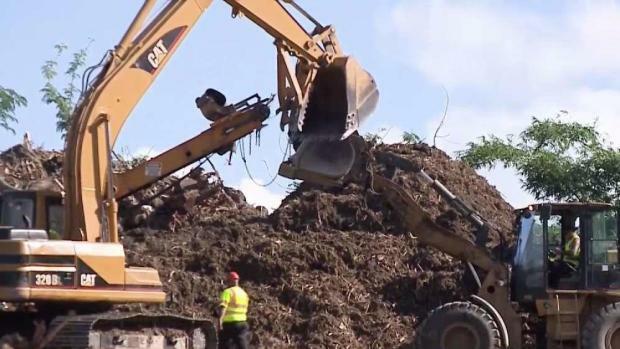 The projects include a proposed $860 million waste-to-energy plant and a $47.5 million wind farm, both of which would be located along the island's north coast. She said the project "is not clean or renewable or a major source of electricity." A spokeswoman for the company proposing the project, Energy Answers International Inc., did not immediately return a message for comment.